AS USUAL, Tasmania provided us with lots to like from another fascinating weekend of Supercars and associated racing. Here’s what The Race Torque team thought stood out… and what perhaps wasn’t quite so good from event number three of 2019..
WHAT a great little race track. Brilliant for punters, who can see the whole thing from almost every vantage point, and great for TV thanks to the elevation change, iconic corners and the fact the cameras are basically sitting on the track, in some instances. It’s old school, classic and if they ever touch the 2.4km layout, TRT staff will personally chain ourselves to the fence to stop the bulldozers. Scotty’s star turn as a TV reporter on Friday was outstanding. The champion is already a strong media performer but his stint down at turn four added significantly to a session that already had Craig Lowndes and Greg Murphy mic’d up in cars. Excellent TV from the crew at Supercars media. Consider this ‘warm’ more than boiling over, but still an improvement from Tickford Racing’s design department. After Chaz Mostert’s livery was almost universally slammed following it’s Adelaide debut, it’s good to know the team and sponsor listened to the feedback and made what has to be considered a very positive change. 22 Cars, seven high quality young-guns looking to make their mark and a host of very competitive Pro-Am drivers in the midfield made for a strong start to the new year for Carrera Cup’s baby brother. This will be a series to watch this year. 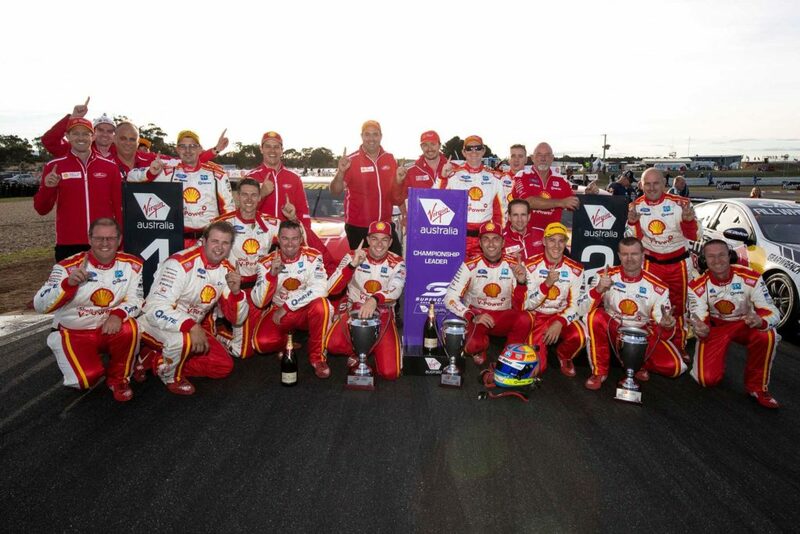 McLAUGHLIN’S win on Saturday was great, but it got awkward as he climbed from the car and his team boss reached out for what seemed to be a rather out of character fist bump… when actually in his clenched fist he had some much-needed medication for Scotty’s rather severe dose of the man-flu. An awkward moment, yes, but nice to see the good Doctor not only running a team but also living up to his well known title… and even if his particular doctorate isn’t in making sick people better, his quip about ‘doctor – patient confidentiality’ when quizzed about his drivers illness in the post-race presser was hilarious. THE Three part qualifying session is a proven winner already, but at Symmons Plains it also had the side-effect of making practice incredibly competitive. Friday’s P2 was good, but the final session of the weekend on Sunday morning was truly remarkable; it felt as much like a qualifying session as anything this year as teams scrabbled to make the top-10 and progress to the second round of qualifying for race eight. 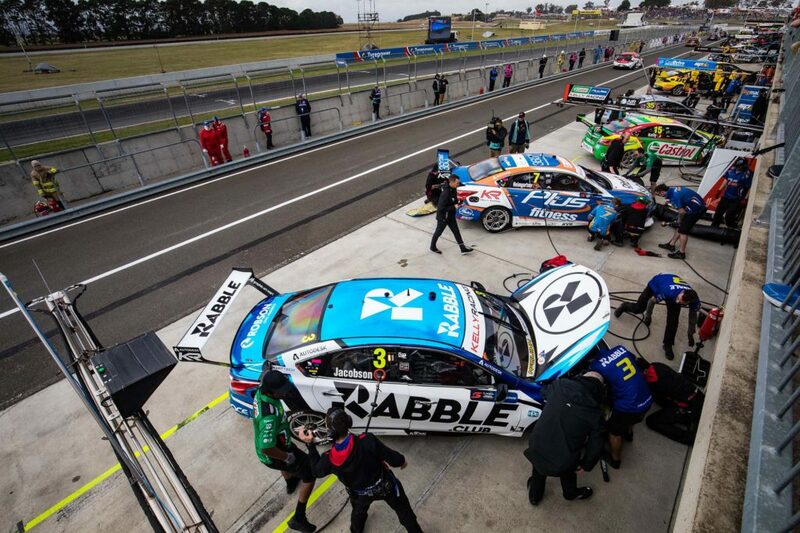 SYMMONS Plains probably wasn’t the best circuit to get a real gauge on if the parc ferme rules trialed this weekend actually changed things up or not, but we like the attempt. Phillip Island, where tyre degradation is much more significant and the difference between a qualifying a race setup is more sizable, would be a bigger experiment. But overall, first impressions are that it’s a good concept worth continuing to work on. CHARLIE threw the kitchen sink at his little race team this year and has spent huge sums securing not only Mark Winterbottom but current-specification Triple Eight gear. It was a good result for the sport to see the single-car team (ignore for a moment their close links with the works outfit) punching at the front both showing their potential, reminding us how much of a guru engineer Phil Keed is and also that Mark Winterbottom may well still have plenty to offer. Good stories – and the celebratory scenes after qualifying for race 7 will definitely make the end-of-year highlights reel. A UNIQUE moment in Saturday’s race as camera’s captured the Shell V-Power team getting around one of their young crew members after Car 17’s stop in Race 7. The mechanic in question, Tobias Chappill, is a 20-year-old graduate from the renowned Woodonga Tafe motorsport program and has worked with the team for a two years, starting as an apprentice before moving his way up to a No. 2 mechanic position on Car 12. He did, however, find himself thrust into rear-right duties when the team elected to change their strategy from a two tyre change to four at the last minute. It was his first ‘live’ pit stop during a race and as such the team got around him following the stop sequence to pat him on the back. Some watching initially thought that gesture was the team trying to support him after the right-rear change appeared slower than the other corners during the stop, though Story was quick to confirm otherwise and told Mark Larkham exactly that during the broadcast. Coincidentally, It just so happened that it was young Tobias’ turn to collect the trophy as per the team’s long established policy. “We’ve spoken a lot about our policy and how we approach things internally. we’ve been fortunate to win a lot of races in the last few years which means we give people the chance to accept the win on behalf of the team,” Story said. The boss also noted that young Toby is single and ‘Available for any young ladies’ that may be interested. Reason No. 1873 why Penske really are the best team around at the moment. Obviously. Give him a sniff and a car capable of winning, and the Kiwi is likely to be right there. A superb rebound from a forgettable Grand Prix, where the wheels literally fell off. ONE FORD and one Holden win on a track dominated by Holden for the last decade. Was it COG? Was it aero? Was it linear springs? Luck? Weather? Tickford back to their 2018 form (see below) Parc Ferme? Too many variables to judge at Symmons. If the Mustangs smoke the field at Phillip Island we’ll know more. GOOD for those who want more racing, more often and not great for those who work in it and find themselves doing back-to-back meetings and what will ultimately turn out to be 10 or 12 days on the road in a row. The short turnaround between Symmons Plains and Phillip Island is an interesting calendar quirk this year and not something done regularly. Like the ongoing Parity debate, we’ll wait until after Phillip Island to pass final judgement. PORSCHE’s aside, the support race program at Symmons was flat. Aussie Racing Cars are what they are and produced good, entertaining racing as always: but an 11-car field of ‘Sports GT’ and Formula Vees (as fun as they can be) were disappointing and didn’t seem to be the standard needed for that size of an event. It’s great that the local competitors can get a run at their biggest event – that should also be so – but the local fans also deserve more national-level racing that they rarely get to see. The problem is, it’s a hugely expensive effort to get to Tasmania and national categories just don’t want to go. WE’RE as glass-half-full as they come but even we’d have liked some rain to spice up Sunday’s 200km show. It had its moments (McLaughlin-versus-van Gisbergen was ace) but proper, torrential rain would have been superb. It teased and teased but never really delivered anything more than drizzle, which only made the fans uncomfortable. Of course, it absolutely teamed it down in Launceston on Sunday night. WHAT a strange weekend for ‘ol Seven-Time. Speared off in qualifying for Race 7 and lost any chance to qualify better than 15th, then was a non-factor in the race after clipping another car on the second lap. 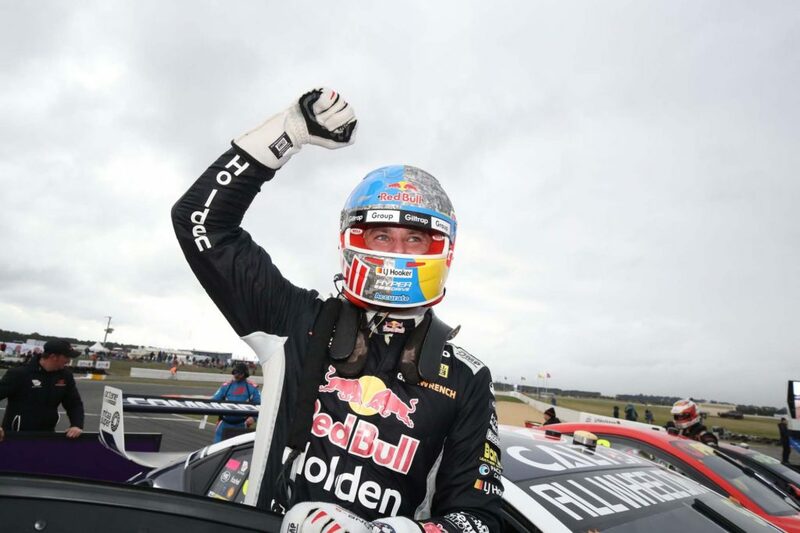 He recovered to a solid finish in Race 8 after another strange qualifying performance earlier, but still – the last time we were this confused about a Whincup weekend was when he ran the thing out of fuel at Bathurst. TEAM OWNER Jonathan Webb went on record earlier in the weekend suggesting that Jack LeBrocq was ‘their driver for the next two weeks’ and that after Phillip Island they’d be assessing their options. Yet rumours remain that the young gun will be out of the door following Phillip Island. It’s clearly a tough deal at the moment. Despite being a Triple Eight customer team, their gear is far from the same level that fellow Triple Eight customers Irwin Racing and Matt Stone are using. “..we’re still running the old stuff, which they introduced into the Triple 8 cars about four years ago now,” LeBrocq told Fox Sports. The team say they want to be in the main game for years to come but at the moment they seem somewhat rudderless after losing key people like Adrian Burgess last year. Few question JLB’s ability, his time in Super2 and his rookie season last year more than proving that he has what it takes to be a very competitive little steerer. However, the question must be asked if it’s worth merely having a main game drive for the sake of having a main game drive to run around in 19th position. If Tekno and LeBrocq split after Phillip Island it will be far from ideal, but perhaps it may be the change both parties need to progress? THEY’VE invested so much time and energy into the Altima yet no amount of development or rule breaks (remember, they didn’t cop the ballast adjustments the Holden and Fords did) seems to help them. You have to feel for the team that every now and then produces a Rick Kelly Winton or Phillip Island moment, only to return to a weekend where in two races their best finish on the shortest lap of the calendar was 15th out of 25. We love a team that preserves, but there has to be a point where they swallow their pride, reach out to the Blue Oval and do a deal to get some Mustangs in their life, surely. WHERE did the renewed, refreshed Tickford Racing of Adelaide and Melbourne go? 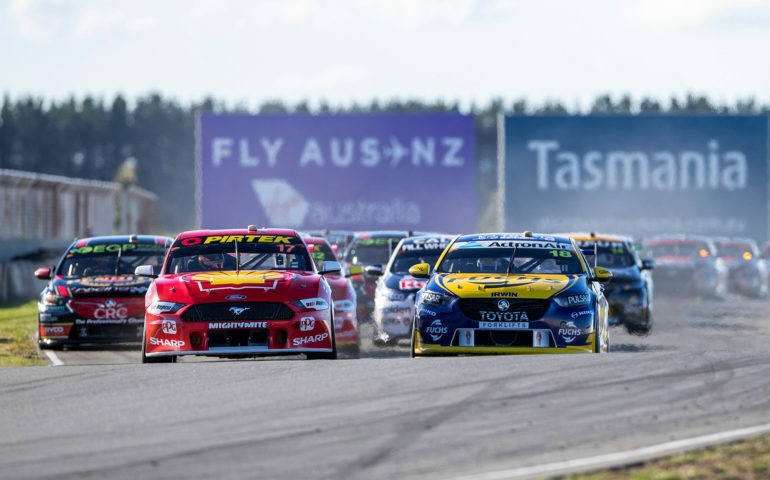 The Mustangs were still plenty fast in Tassie – just that it was the two red ones only as the other four had to fight to just scrape into the bottom of the top-10. After such a promising start, car advantage or not, the Campbellfield-based team will hope the rapid return to their troubles of 2018 was a circuit related anomaly rather than a broader black hole. 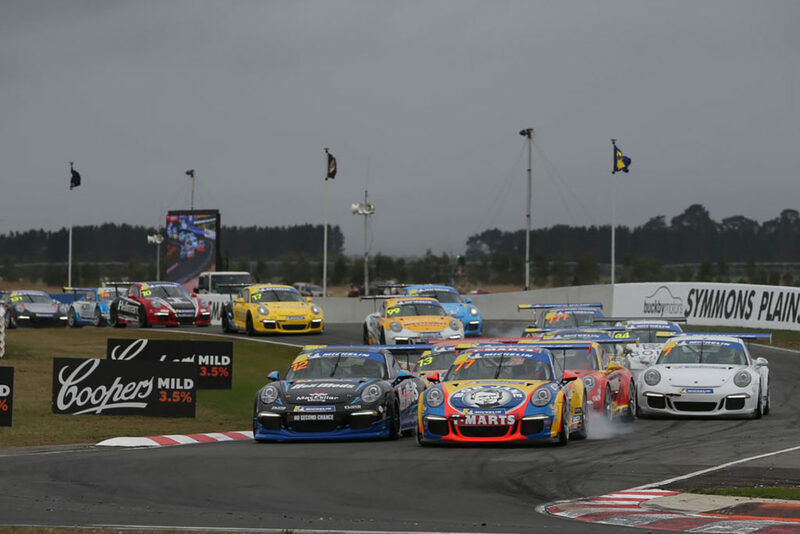 FOX SPORTS TV ratings continued to climb for both Supercars races in Tasmania. Saturday’s Race 7 was watched by 140,000 people, up 20% on the same race in 2018. Race 8 was watched by 199,000, up 24% on Sunday last year. 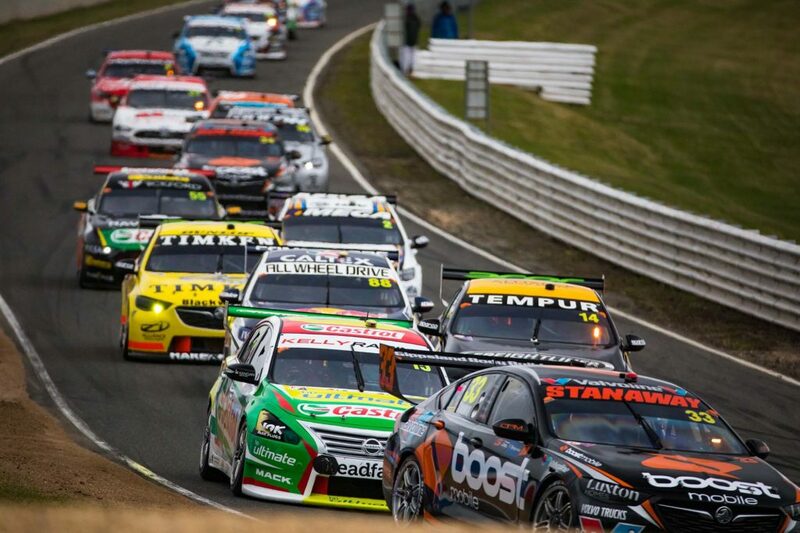 Sunday’s race drew the second largest FOX Sports audience for Supercars this year, behind Race 2 in Adelaide (227k). Of the 8 races held so far, only one (Race 5) has not seen a ratings increase from 2018.